This afternoon, while practicing one of my favorite past times, puttering in the garden, I stepped into the garage/workshop to search for an item. I walked deeper into the garage than I normally do when I am grabbing a rake or a shovel. I was surprised to see the vintage screen door propped there that I bought earlier in the year. Although I purchased it because the open door is my symbol for this year, I had stashed the gray screen door in the garage and forgotten about it! I had time to drag the door out into the bright spring sunshine and move it about the garden, stepping back to consider and get an idea of how best to use the door in that location. I came up with several possible uses and decided to do a first on the blog. I’m posting pictures of potential creative uses and asking for a vote on which idea the readers like the best. It can be a shared creative endeavor. I’m open to other suggestions as well, so feel free to comment! 1. 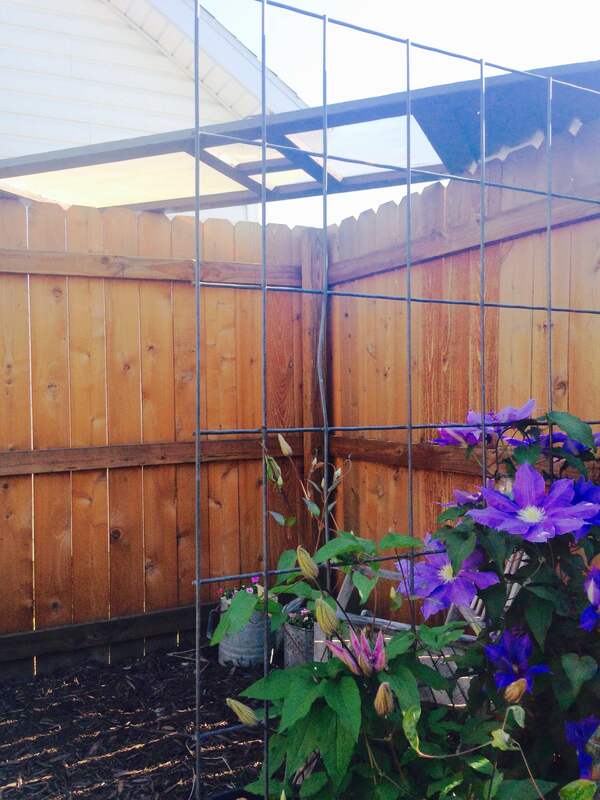 Most simple idea: Use as a trellis for a climbing rose or vine. 2. 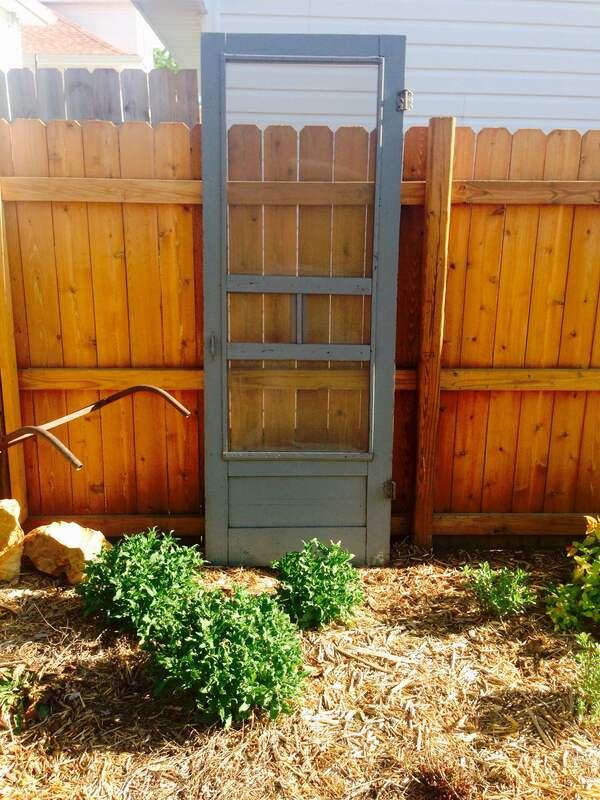 Use the door as a cover over the meditation area. I could string white lights across it. 3. 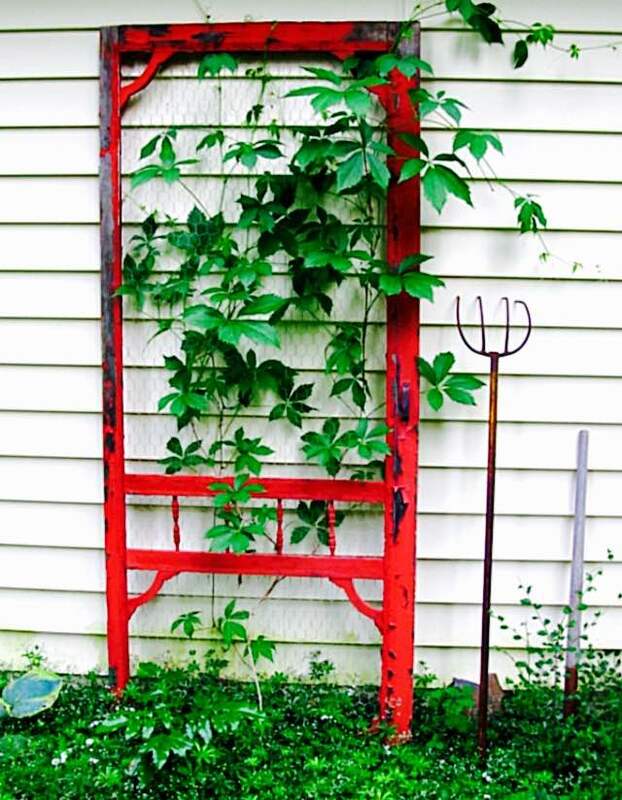 I could set the door at an angle and use it as a trellis or hang a wreath from the door, as in this picture from Pinterest. 5. 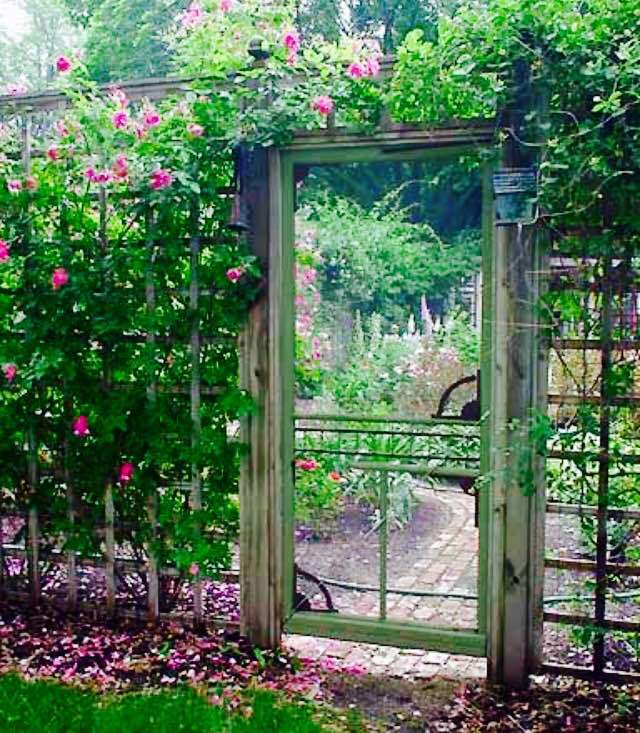 I don’t have a picture of another possibility, which would be to secure the door horizontally on the fence and train two or three climbing or vining plants on it. 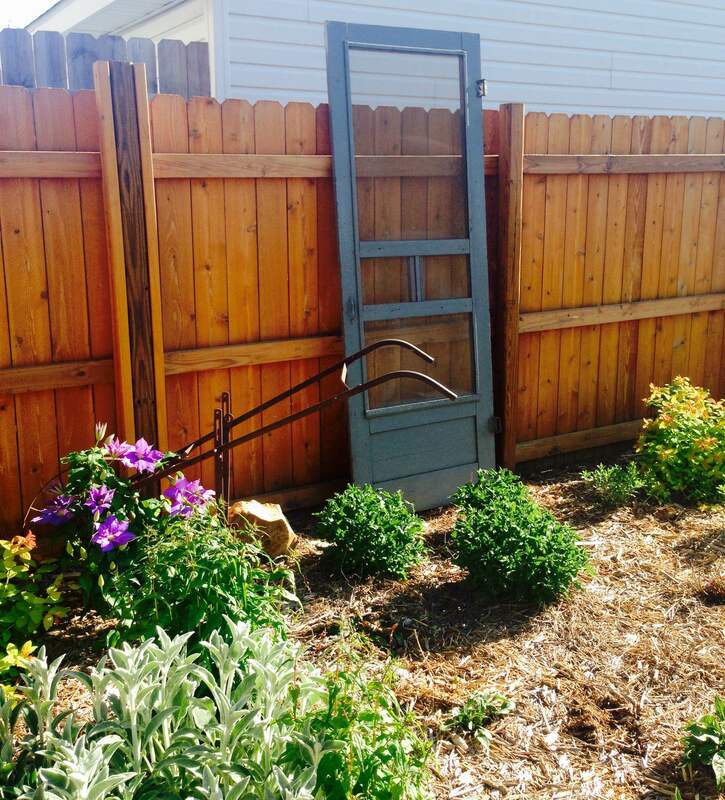 I’m excited about the possibilities and look forward to incorporating the screen door into the garden. 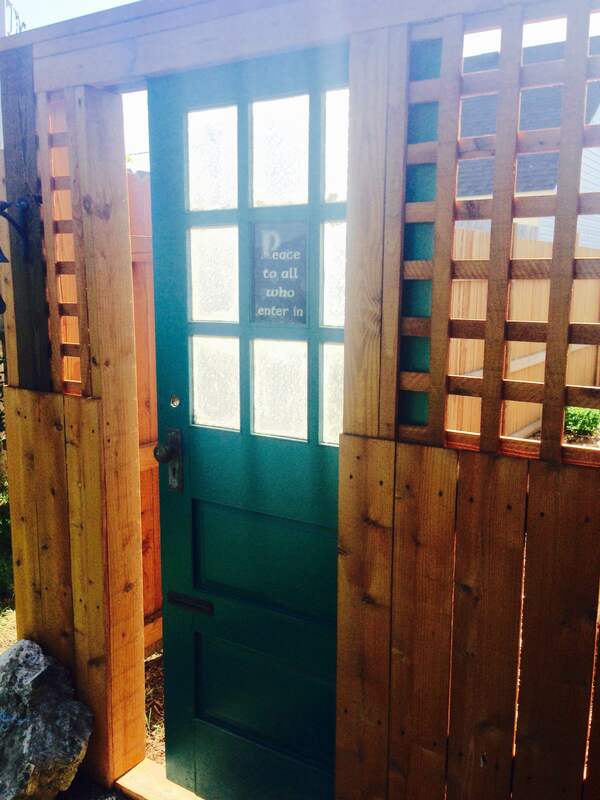 I love my Peace Door, which serves as a gate into this backyard paradise. 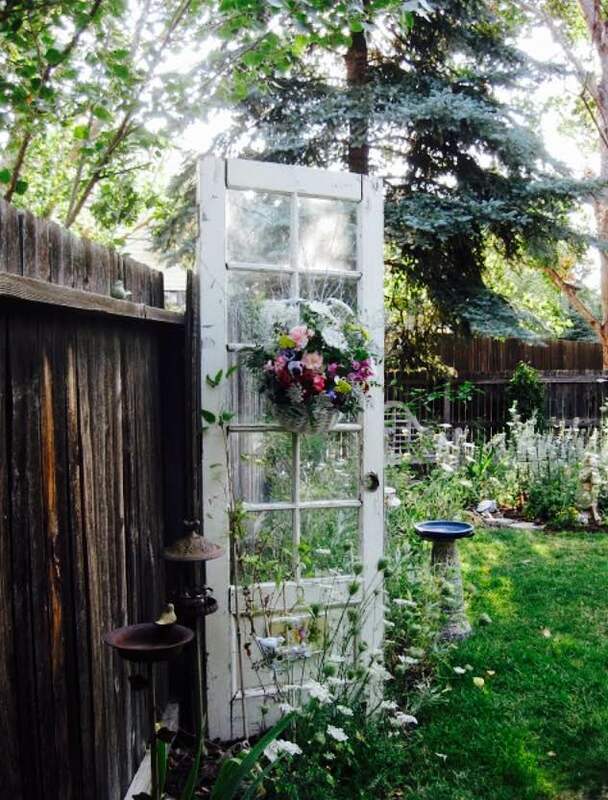 The screen door brings a homey, vintage quality into the garden, which I love. Which idea appeals to you the most? Please take a moment to comment here on WordPress or on Facebook, and I’ll post the results. Together, we are creating beauty on the journey! Next PostNext Journey 121: We’re Not in Kansas Anymore…Oh Wait, Yes We Are!